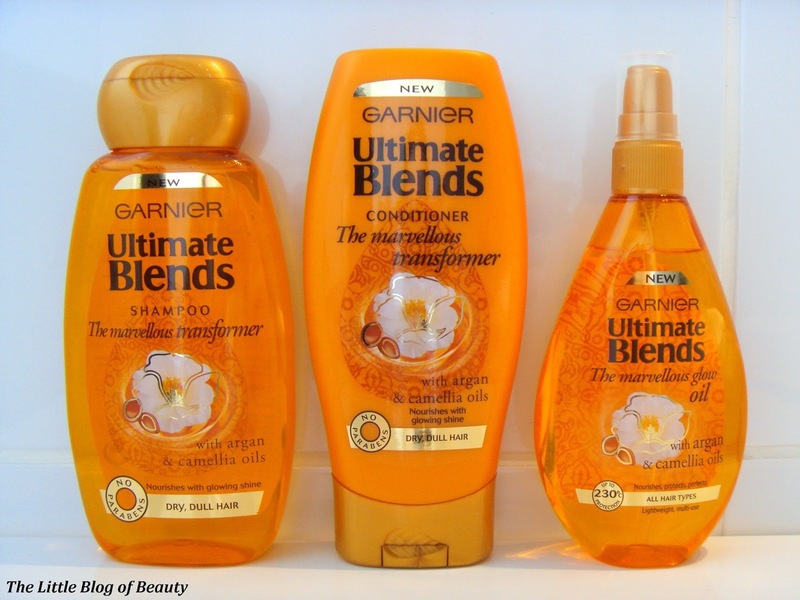 Garnier have recently bought out 6 new hair care ranges designed to target different hair care concerns, all under the name Ultimate Blends. Earlier this year, probably on their Facebook page or their website (I can't actually remember where it was!) 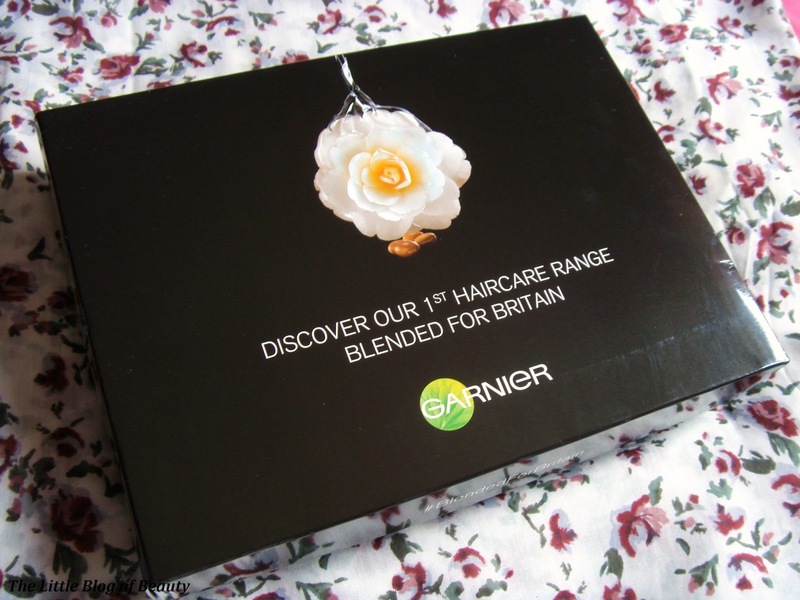 I saw that Garnier were offering something like 100 sets for people to try. All you had to do was answer some questions about your hair type and provide your details and wait to see if you'd been picked. I don't really know if you'd call this a competition, but anyway, a few weeks back I received a parcel I wasn't expecting and inside I found three products from the Marvellous Transformer range. With Coconut oil and Cocoa butter for dry, frizzy hair. With Argan oil and Cranberry extracts for coloured hair. With Vanilla milk and Papaya extracts for mid to long hair with split ends. As my hair is oily, frizzy and dyed I could have ended up with The Sleek Restorer or The Colour Illuminator and I was actually quite surprised to receive the one I did as I didn't think my hair was particularly dry or dull. I was surprised to notice that although there are sets for normal and dry hair there's nothing for oily hair, which I would have been very interested in trying, so maybe that's why I ended up with the set I did. The first thing I want to comment on is the packaging. If I had to describe this in one word it would definitely be retro! These are the sort of bottles I would have expected to find on shelves in maybe the late 80's or early 90's and I would have assumed they were from Timotei. I have to say they're really not my kind of thing and I wouldn't give them a second glance if I walked past them in Boots. I've also found that the lid of the shampoo feels very loose and that it twists quite far round each way so I'm glad this didn't get knocked in the post or I may have ended up with a bit of a sticky mess in the box. Neither the shampoo or conditioner particularly appear to have much of a scent to them but the glow oil does smell lovely and this does linger slightly on your hair. The shampoo is slightly on the runny side but not too bad and lathers up well. The hole on the shampoo bottle is quite large and is open (you don't have to squeeze to get the shampoo out) so it's best to go carefully when tipping it out. The conditioner is thicker and does require a little squeeze to get it out and I was surprised to find it looks a bit like custard (I don't know why it surprised me but conditioner is usually white?). The glow oil is a very light oil that is quite runny with more of a water type consistency. This has five uses; before washing to pre-nourish, before styling for heat protection, after styling to protect the hair from UV, between washes for a finishing touch and anytime to boost shine and make hair smell nice. I've only really used this after washing while my hair is still wet as heat protection as I'm not sure about adding oils to my oily hair when it's dry. I would definitely be interested in giving this a try as a pre-nourish before washing though as I have done this before with other oils and find it works well. I found this to be a nice little range that left my hair soft and shiny and strangely I find that my hair appears to dry slightly quicker when using these products. If you like using oils on your hair when it's dry to add shine and style then the glow oil might be perfect for you. When it comes to heat protection I personally prefer sprays as I think it's easier to get an even distribution through your hair, so I'm not sure I would buy it again, but I've got nothing against the product. The products range between £2.49 and £4.49 so it's a very reasonably priced range. 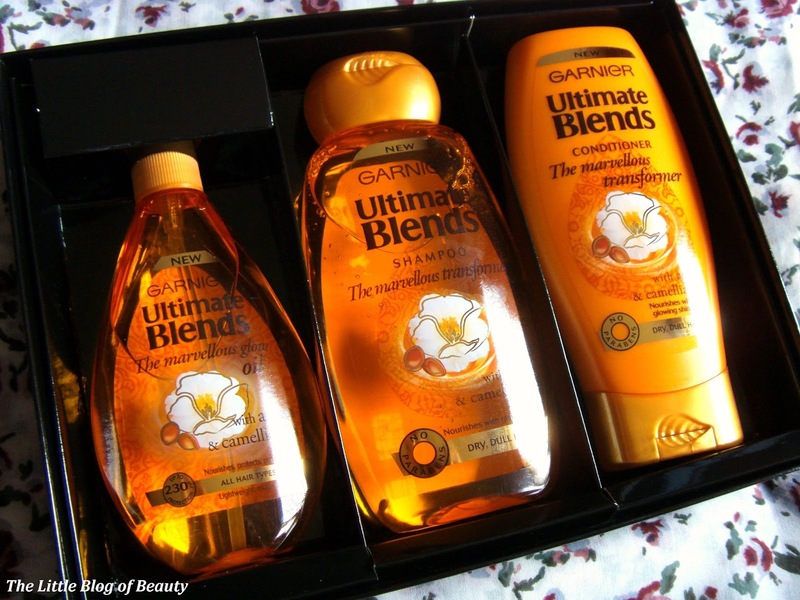 Have you tried any of the Ultimate Blends ranges?